Epiphone's SG-Express captures the look, sound and feel of our famous SG's but in a slightly smaller package that's perfect for younger players or for travel use. The neck has the same basic dimensions as a full-size SG but the scale length is only 22.0" as compared to 24.75" on a full-size model. The result is a guitar that's more comfortable to play, especially for smaller players, while still maintaining good string tension when tuned to standard "E". As with all Epiphone's, the SG-Express includes Epiphone's Limited Lifetime Warranty and is backed by their famous 24/7/365 Customer Service. So what are you waiting for? 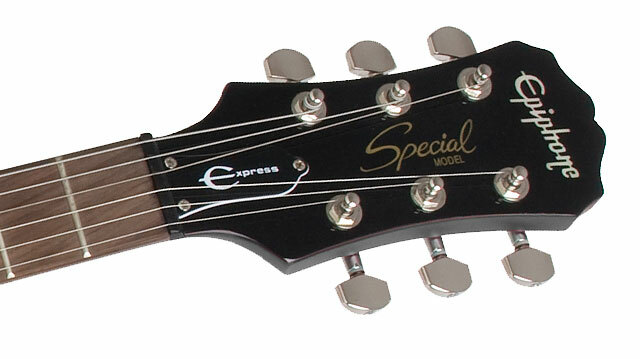 Express yourself today with the new Epiphone SG-Express. 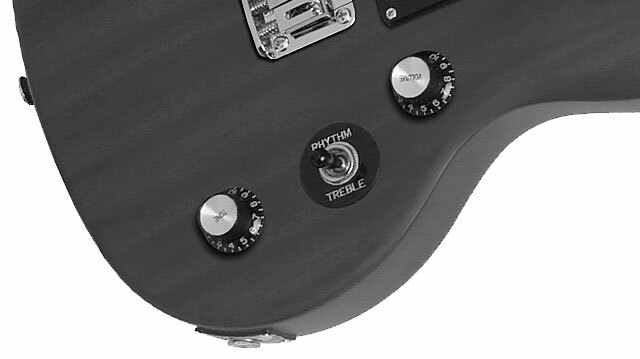 While the SG-Express is a real SG, Epiphone has incorporated some unique design features to ensure outstanding performance. First, while the body is still mahogany, the neck on the SG-Express is Hard maple as opposed to the traditional mahogany neck. This gives the guitar a little more high-end "bite" or brighter tone which effectively offsets the slightly looser string tension due to the shorter scale length. 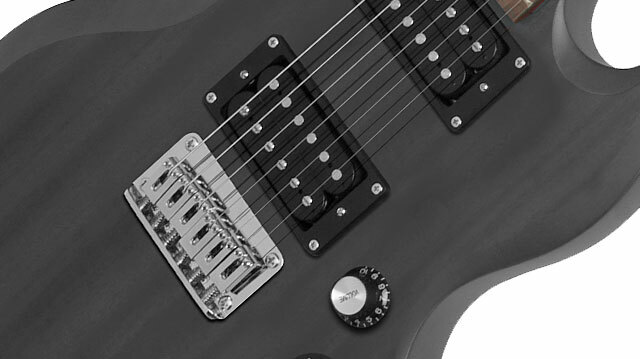 Additionally, the combination of a fully-adjustable "fixed" bridge with a string-through body design fits perfectly with the SG-Express’ smaller size while adding sustain and making string changes a breeze. Finally, the neck is bolted in-place securely using 4- recessed bolts set into a tapered heel making upper fret access easier and very comfortable. The SG-Express features Epiphone famous humbucker pickups with an open coil 650R humbucker in the neck position and an open coil 700T humbucker at the bridge for vintage SG sound that can also put up a roar on any stage big or small. Basic controls include a master volume and tone that still provide you with a palette of colors and tonal combinations that would be impossible with single coil pickups. With the slightly looser string tension, it's even more important to have great tuners. Epiphone designed the new SG-Express with premium, 14:1 ratio diecast tuners to give you excellent tuning accuracy and stability. As a bonus, a custom "Express sized" padded gigbag is included with every guitar making it the perfect travel companion.